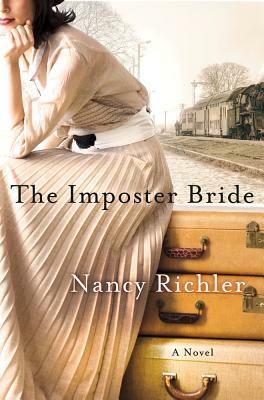 In the wake of World War II, a young, enigmatic woman named Lily arrives in Montreal on her own, expecting to be married to a man she's never met. But, upon seeing her at the train station, Sol Kramer turns her down. Out of pity, his brother Nathan decides to marry her instead, and pity turns into a deep -- and doomed -- love. It is immediately clear that Lily is not who she claims to be. Her attempt to live out her life as Lily Azerov shatters when she disappears, leaving a new husband and a baby daughter with only a diary, a large uncut diamond -- and a need to find the truth. In a nutshell this book is about what it was like in Europe after the Second World War. especially for Jewish people. I think it portrays this more than anything. There is mention in the book that Jewish survivors of the War walk around like ghosts and they stop and stare at a multitude of different people. They are looking for their lost loved ones, and in most cases, sadly, they never find them. This is a clear picture of what it was like for survivors of the Holocaust. In order to escape Europe and to put their ghosts behind them, millions of people did whatever it took to get out of there-stealing identities, stowing away on passage out of the continent, disappearing forever from the Europe that is haunted to them. We hear about this, but we really don't hear about what it's like for those who did escape from Europe. Yes, they escaped the Europe that held only sadness for them, but they brought all the emotions with them. Many found that living under a stolen identity never works for them. They can't be themselves. They can't assume a normal life and go on like nothing has happened. This book, which was a 2012 Giller Prize finalist, is indeed dark and foreboding. It shows how many people are affected by such a terrible thing as the Holocaust was. (even as far away as Canada). The ripple efffect of the Holocaust is endured by unborn generations of those that made it through the nightmare. This is a deftly written fictional account of the human cost and the lives shattered from the unspeakeable horrors that a whole generation of Jewish souls endured.